Ashok Leyland on Friday said 10,664 units of its commercial vehicles were impacted by the Supreme Court ban on BS-III vehicles but the financial hit will be minimal as the affected engines would be upgraded for aftermarket sales. The Hinduja flagship firm said the BS-III engines would be upgraded to BS-IV standard using its new intelligent exhaust gas recirculation (iEGR) technology. "Out of a total of 10,664 units of BS-III vehicles, 95 per cent were with us, not with dealers. So we will be upgrading the engines of those vehicles using our indigenously developed iEGR," Ashok Leyland Managing Director Vinod Dasari told PTI here. The cost of fitting iEGR technology will be just around Rs 20,000 per engine. These engines will be used for sales in the aftermarket at a premium, he added. "We can sell these engines at around Rs 2 lakh though usually the BS-III engines are priced around Rs 1.5 lakh. So the net financial impact on us because of the BS-III ban will be minimal," Dasari said. He did not give details of the iEGR technology, citing trade secret but claimed it "is a simple innovative solution of achieving the desired results in order to meet BS-IV norms". Dasari said BS-IV compliant engines with iEGR have 10 per cent higher fuel economy and can be used for engines of up to 400 horsepower. 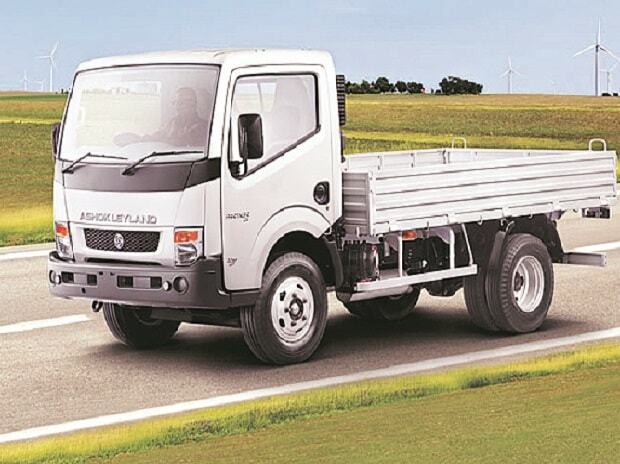 Ashok Leyland has already started converting 250 old BS- III engines to BS-IV standard using iEGR. "It will take about to to three months to get all the BS-III engines (converted) to BS-IV. It is not about the financial impact but it's about effort needed to do so, " he added. The new BS-IV compliant engines would be fitted on the chassis of the affected vehicles for sale in the market. Ashok Leyland has been selling BS-IV compliant commercial vehicles since 2010, Dasari said. Last month, the Supreme Court had banned sale and registration of vehicles with the older BS-III emission norms from April 1, in a blow to auto firms saddled with a stock of over 8 lakh such vehicles valued up to Rs 20,000 crore.